The Golden State Warriors’ achievements over the last year were recognized on the highest stage on Thursday, as US President Barack Obama welcomed the NBA champions to the White House. 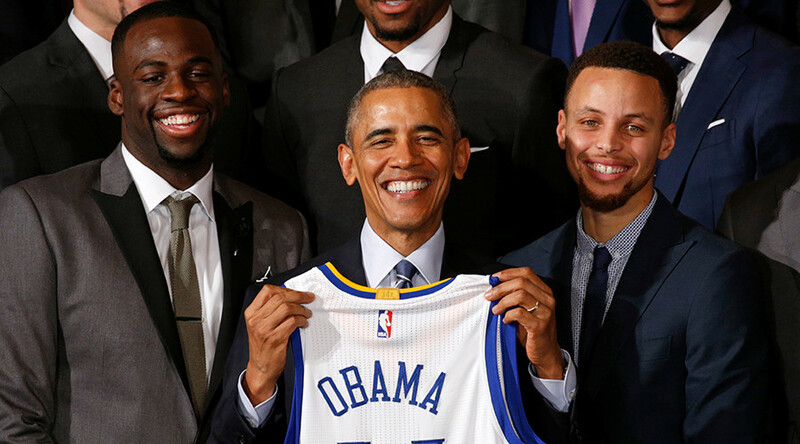 Obama chatted with Warriors star Draymond Green and even found time to rib reigning MVP Steph Curry for his celebrations during Wednesday’s victory over the Washington Wizards. With the Warriors chasing down records set by Obama’s favorite team, the Chicago Bulls, he graciously praised their talents. “They are so good that they seem to be just breaking the game itself,” he said. “I don't play anymore, but I still know a little bit about basketball, and this really is one of the best [teams] that we've ever seen. Curry and teammate Klay Thompson had further cause for celebration, after being chosen to continue their friendly rivalry at the NBA All-Star weekend in the Foot Locker Three-Point Contest in Toronto. Curry hit 13 in a row in last year’s contest, to defeat Thompson and Cavaliers point guard Kyrie Irving in the final. Facing Curry and Thompson this time around are James Harden (Houston Rockets), Chris Bosh (Miami Heat) and J.J. Redick (Los Angeles Clippers). They will be joined by Khris Middleton (Milwaukee Bucks), Kyle Lowry (Toronto Raptors) and Devin Booker (Denver Suns). For Curry and Thompson, the All-Star weekend will be a welcome distraction from the Warriors’ tireless chase of the 1995/96 Bulls’ 72-10 regular season record. 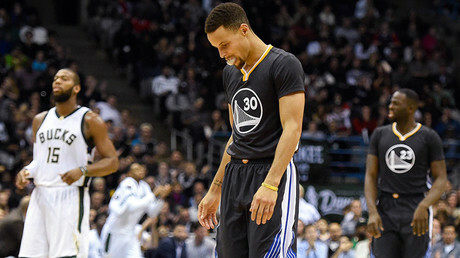 After defeating their main rivals the San Antonio Spurs 120-90 at the end of January, the Warriors have reeled off another four wins to move to 45-4 for the season. They have set numerous NBA and franchise records this season, including winning their first 24 games to smash the previous record of 15 set by the 1948/49 Washington Capitols and the 1993/94 Houston Rockets. They also won 28 consecutive regular-season games dating back to the 2014/15 season, edging them ahead of the 2012/13 Miami Heat for the second longest winning streak in NBA history. The Warriors made the best ever road start at 14-0, passing the 1969/70 New York Knicks to set the joint-third longest road win streak. The team is currently on a franchise record 40-straight regular season home wins, dating back to 2014/15. This is the joint-second best streak in NBA history, with the 95/96 Bulls holding the record at 44. The Warriors are back in action on Saturday when they host the Oklahoma City Thunder. The teams met four times last season, with the Warriors claiming three victories. The Thunder hold the historical advantage over the Warriors, with 135 wins from 236 regular season games played between the two franchises.